Our task is to train a manageable urban Pitbull, or the Pitbull, which is integrated into society. The law requires the Pitbull being in the public places only in a muzzle. And it sounds well-grounded. 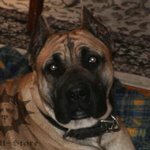 There are owners who don’t take their four-legged in the "school" because the Pitbull isn’t trained to be with the muzzle, but without it, you can not take the Pitbull in the bus or tram. 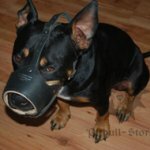 In addition, your pet in the muzzle is protected from eating of the ground something harmful or even poisonous. This leads to serious and often fatal diseases. After that pet will even happily wag its tail when it will see the muzzle. How to do this correctly and how you can use our products, you can read here. 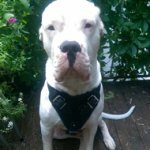 And now we want to get you know how to choose the right Pitbull muzzle. 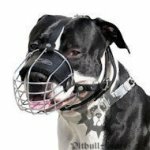 First of all, the muzzle considering its proportion has to correspond to the build of the head of your Pitbull. 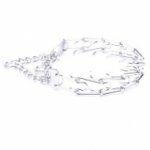 Therefore, the muzzles are produced for any specific Pitbull breed. 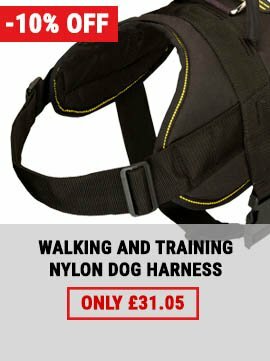 Those, who are uncertain about the breed of their four-legged, should resort to fitting. You can enter some pet shops with your Pitbull. 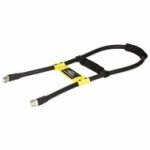 To avoid troubles, you should ask about it seller or the security. The main rule is that Pitbull should have the possibility to open its mouth and to lick its nose in a muzzle. 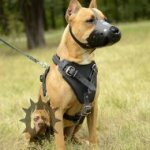 Otherwise the muzzle is too small for it, and the Pitbull can get heat stroke or heart attack, when it is warm, because Pitbulls do not sweat and cool their blood through the protruding tongue. The Pitbulls take the heat worse than the cold. 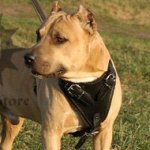 Therefore the muzzle should not prevent the Pitbull from drinking. 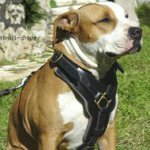 If you are selecting a Pitbull muzzle for your pet, keep in mind that it does not press on the eyes and doesn’t rub the nose. 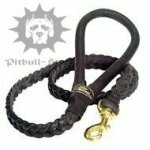 There are many types of Pitbull muzzles. We will not consider them in detail. 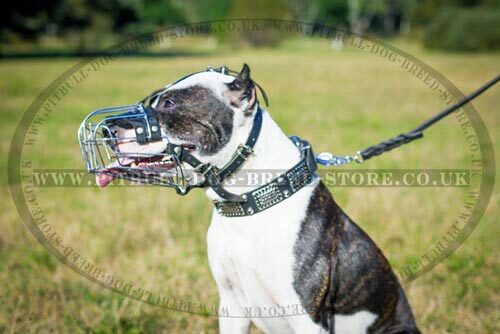 It needs to be pointed out that the wire basket Pitbull muzzles are dangerous for the playing with other dogs and for training, and during the winter the snout can freeze to the steel cage. 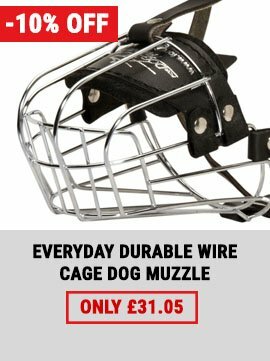 For winter you can buy a wire muzzle with rubber cover. 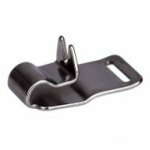 Such muzzle is universal because it also fits for summer use. 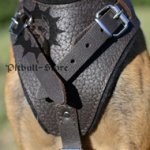 Closed leather muzzles often have poor ventilation. 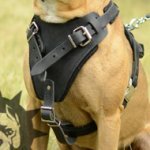 All of our leather muzzles have good or even great ventilation! 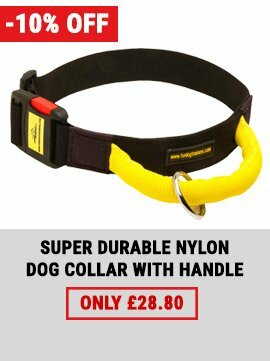 Nylon muzzles can rub the nose and lips of the pet. 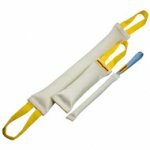 You can easily wash a plastic muzzle after walks with hot water. 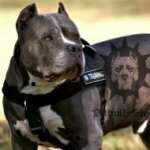 It is lightweight and will not rub Pitbull's nose. 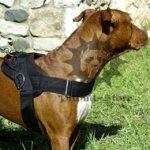 If you still have some doubts concerning the muzzle for your Pitbull, ask our specialists. We will help you to choose the best one! So everything turned out well.